Cardiovascular technologists are integral members of the medical team. Using state-of-the-art technologies, cardiovascular techs use EKG machines to analyze heart function and ultrasounds to detect defects like arrhythmia, blockages, blood clots, and congenital heart disease in patients of all ages. Their findings can mean the difference between life and death. Registered cardiovascular technologists usually perform electrocardiograms and other non-invasive testing under the supervision of a doctor. More experienced cardiovascular techs may be depended upon to perform a wide variety of diagnostic testing, including more invasive procedures like cardiac catheterization procedures. According to the CDC, coronary heart disease kills 1 in 4 Americans, and is the leading cause of death for both men and women. The U.S. Administration on Aging tells us that people 65+ made up 14.5% of the population in 2014, but are expected to make up 21.7% of the population by 2040. With heart problems affecting seniors the most, cardiovascular technologists will be heavily relied on to help diagnose heart disease. While cardiovascular issues are thought to be suffered only by older people (the average age for heart attacks in males hovers at 65 years old), this certainly isn’t the whole picture. In fact, medical experts ascertain that as many as 10% of heart attacks occur under the age of 45. It’s important to remember that not all heart disease is preventable, but with children and adults failing to meet the recommended daily exercise and dietary quotas, medical professionals agree that coronary heart disease isn’t going anywhere for a while. There’s a shortage of qualified professionals to fill the growing industry, so it’s a great time to get involved in the cardiovascular industry. Even though the medical community has made remarkable strides in informing at-risk women about heart disease over the last decade, it remains the leading cause of death in females. Heart disease is often thought to be a “man’s disease”, and many women don’t receive treatment for a variety of reasons, like being busy caring for others, or even dismissing symptoms as something else like a panic attack or a cold. In fact, ailments might not be diagnosed until a woman experiences symptoms of a heart attack, heart failure, arrhythmia, or stroke, and visits a cardiovascular expert for more information. Since over 70% of cardiovascular techs are female, this is a great industry to use your insight and empathy to spread awareness and make a difference for women whose lives are affected by heart disease. Regardless of whether a heart attack is linked to birth defects, blood clots, chest trauma, or drug reactions, children and teenagers are also at risk for cardiovascular disease. The sudden death of a minor is an awful tragedy, and when it’s linked to atherosclerosis – the hardening and narrowing of the arteries – it’s even more tragic, due to its preventable and common nature. According to Texas Heart, less than 3% of minors in the U.S. suffer from high blood pressure, and perhaps 15% are affected by high cholesterol levels. Plaque build-up often progresses as children grow, and regularly monitoring these conditions is highly important to prevent further risks. For those with a positive demeanor, working with young patients in the cardiovascular tech field might be the perfect career for you. In addition to family history, individuals who smoke, have high LDL cholesterol levels, or have been diagnosed with hypertension are those with the highest risk of cardiovascular disease. Diabetes, obesity, inactivity, and a poor diet can further increase heart disease in individuals. Unfortunately, sedentary lifestyles which encourage these elements are on the rise in the United States, and the market and demand for qualified cardiovascular technologists are higher than they’ve ever been. The importance of giving patients the life-saving insights they need cannot be overstated. It takes many years to become an excellent tech, but solid education and experience will prepare most candidates for their future career. Whether through a technical school or community college, most techs are expected to have a two-year associate degree or certificate. If you choose the associate degree path in cardiovascular technology, the first year is often dedicated to completing general education courses like math, English, and biology. Once you get through the general education courses, you’ll focus more on patient care, safety, physics, and sonography. 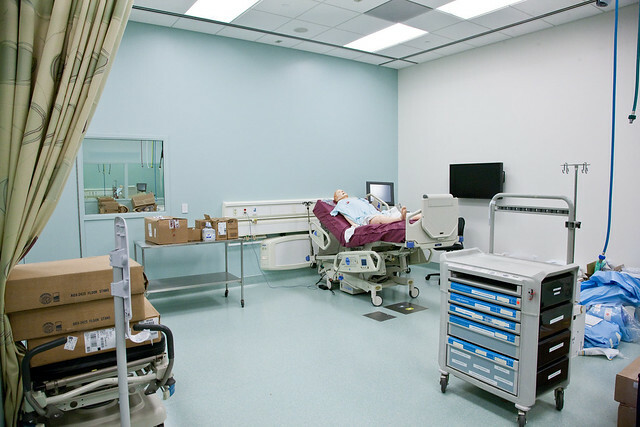 The second portion of classes will also involve hands-on training in labs and clinical sites. 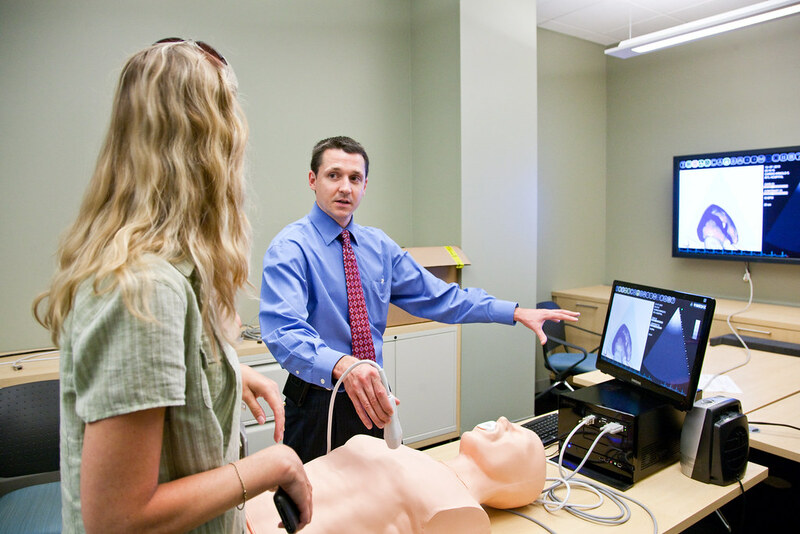 Certificate programs will typically skip the general education classes and jump right into the core classes that are relevant to cardiovascular technology as well as the hands-on training. This allows students to complete their programs in less time. Very few states have a state licensure requirement for sonographers. However, most employers will require you to be registered/certified through the American Registry for Diagnostic Medical Sonography (ARDMS) and/or Cardiovascular Credentialing International (CCI). It’s important to stay current with recent trends and procedures, and continuing your education and on-the-job training after completing your education should result in better career offers and job satisfaction. What’s the Job Market for Cardiovascular Technologists? Upwards of 80% of cardiovascular techs find careers in general hospital settings, though there are opportunities in a variety of sectors like imaging centers, physician clinics, laboratories, specialty hospitals, and outpatient care centers. With more people suffering from heart disease than ever before and an aging population, cardiovascular technologist jobs are abundant, with a projected job growth of 22% from 2014-2024 (According to BLS). Another tremendous part of this growing industry is how much cardiovascular techs make. In 2015, a median salary for cardiovascular technologists hovered well above $50,000 per year. For those looking for a high paying job with a great job outlook, this field could be just what you’re looking for. Not only are you working in a high growth industry, but you’re also helping patients with cardiac and vascular conditions get the answers and diagnoses they desperately need. Are you thinking about becoming a cardiovascular tech? There’s never been a better time or higher demand to build a great career in the allied health sector. Learn more about Cardiovascular Tech training today and start making a difference. You neglected to mention “Invasive” Cardiovascular Technologists vs. non-invasive CVT’s. If people look into job descriptions after reading this, they will be confused by the descriptions and the job requirements.